U.S. Congressman Dana Rohrabacher (R-Huntington Beach) likes to help out his friends when he sees their names being dragged through the mud. When his Capitol Hill dining buddy, disgraced lobbyist Jack Abramoff, pleaded guilty to felony fraud charges last year, Rohrabacher, who took trips abroad with members of Abramoff’s firm, became the only congress person to beg for leniency for his pal. “I think he’s been dealt a bad hand and the worst, rawest deal I’ve ever seen in my life,” Rohrabacher whined. So it seems just a little bit odd that Rohrabacher has yet to utter a word in defense of his close friends at Airtech International, Inc., an aerospace firm in his district that is currently being investigated for fraud by the U.S. government. 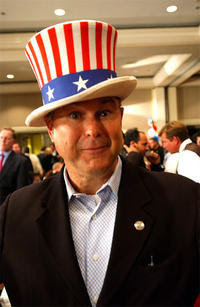 Airtech might well expect a kind word or two: In the past few decades, Airtech and its employees and their families have donated at least $36,650 in campaign contributions to Rohrabacher, making the company his fourth-largest campaign contributor during his entire career. Airtech, which is based in Huntington Beach, makes materials that are used in building composite parts for everything from commercial aircraft to submarines, military jets and the Space Shuttle. Because of the sensitive nature of building composite materials—if improperly built, composite materials subjected to extreme physical demands might fracture, say, during flight—every step in their manufacture is subject to stringent guidelines. In April of this year, the anti-Airtech drumbeat began when CBS news reported that Airtech had shipped poor-quality materials to a variety of defense and aerospace firms and other clients, including the U.S. military, between 1997 and 2005. CBS based that allegation on a U.S. Army Criminal Investigation Command investigation, which alleged massive fraud by Airtech. Although the CBS report on Airtech was based mostly on the conclusions of the Army investigation, the news network also received help from the Project on Governmental Oversight (POGO), a Washington, D.C.-based non-profit group that monitors public- and private-sector corruption and originally uncovered the Army memorandum. Jake Wiens, a POGO investigator, said that POGO was concerned about the allegations against Airtech because the company provides material to commercial airplane manufacturers such as Boeing.